Early on in the picture, a scene gives focus to how the annual Purge effects citizens outside America. A group of Russians, dubbed by the media as "Murder Tourists", enter the country with the intent of joining in with the festivities. A group of people entering the country to commit murder? It's a headline one expects FOX News, or a certain Presidential candidate, to milk for all it's fear-mongering worth. Yet it's also an intriguing way of expanding upon this world writer/director James DeMonaco has crafted. Years after stopping himself from murdering somebody, Leo Barnes (Frank Grillo) works as head of security for Senator Charlie Roan (Elizabeth Mitchell). Roan is in the running for President, intending to put an end to the bloodthirsty tradition of The Purge. During that years Purge, their security team is betrayed, resulting in the two escaping onto the dangerous streets of D.C. It seems DeMonaco learns a bit more from each passing film, as this entry goes full on B-Movie. Considering this franchise has always felt more suited for the action genre than horror, the decision to embrace the dumb fun works rather well. In spite of the ineffective jump scares, there is some effective imagery on show. 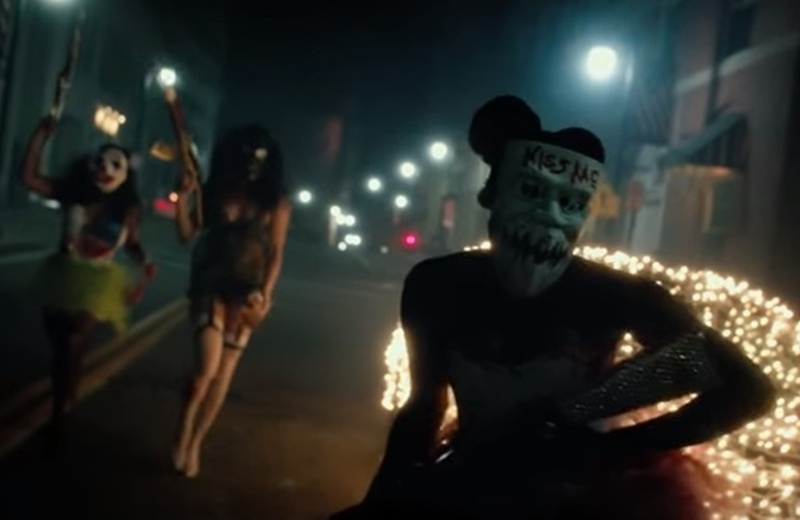 A scene of a masked group dramatically exiting their cars, to the sound of Miley Cyrus' "Party in the USA", is an effective moment. It's especially a strength, considering how the writing has never been a high point with this series. Characterisation is basic at best, while the worst example is one character's motivation being wanting a candy bar. Although some aspects are delivered in a heavy handed manner, particularly when it comes to the overall message. Not helping things are how it's the same message the prior two films were centred around. Surely there's more avenues these films could go down? The Purge: Election Year may seem heavy handed at times, while lacking in the horror aspects. But it does work best when embracing the B movie style tone, and delivering on the dumb fun.